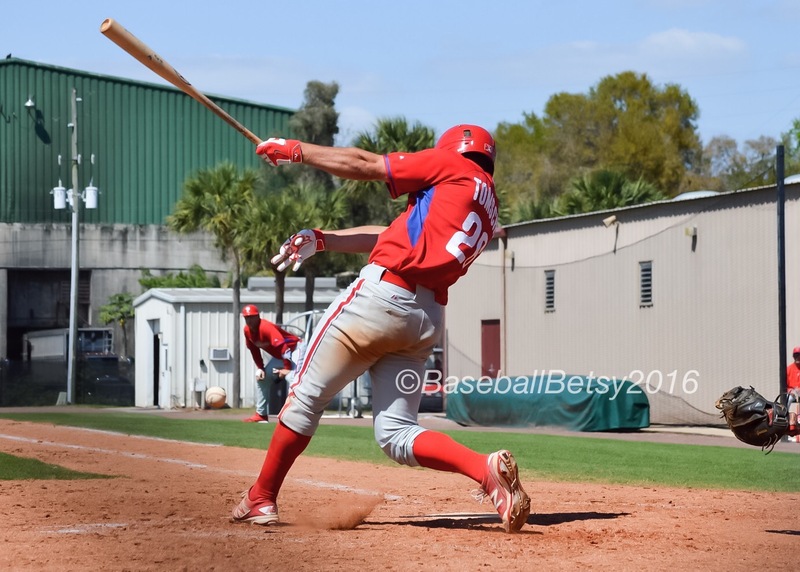 ← Which Phillies Position Prospects Are Finishing the 2017 Season “Strong”? Talk about finishing strong. Nothing beats going on nine game hitting streaks in the final month of the season when it really counts. This is exactly what Reading’s Damek Tomscha and Clearwater’s Willy Garcia have done. Both of them went deep last night. For Tomscha it was his second homer in his last four games watch HERE and HERE. Garcia has hit a round tripper in each of his last three games. Over the last nine games Tomscha has gone 15 for 34 (.441) while Garcia has gone 17 for 39 (.436). The switch hitting Garcia has hit all of his 13 home runs left handed. He has hit .277 with 4 RBIs in 101 at bats right handed and has hit .273 with 51 RBIs in 311 at bats left handed. He has walked only only 13 times in over 400 plate appearances this season. Both can play multiple positions. Tomscha has started at third and first while with Clearwater and Reading but primarily at third with Reading this season. Garcia has played first base or used as a designated hitter almost exclusively this season. 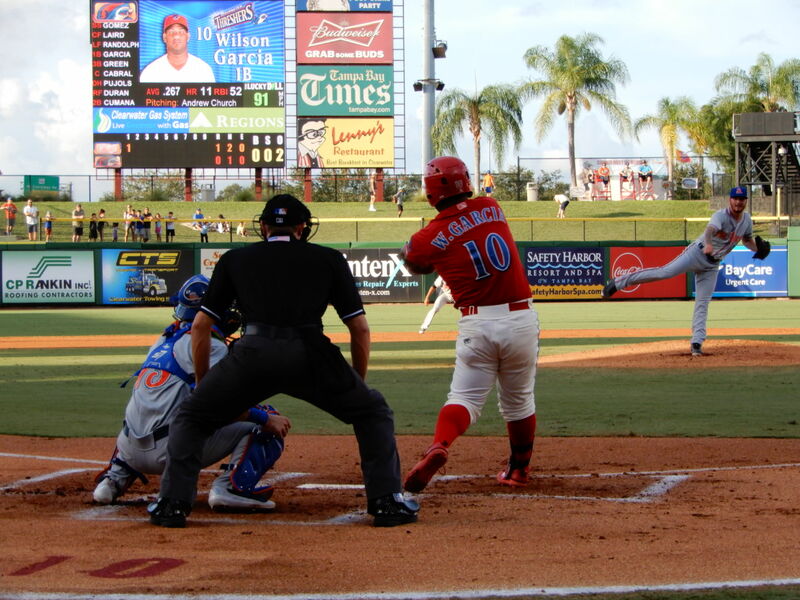 But he has caught 111 games in his long Phillies minor league career including catching a two hit combined shutout by four Threshers pitchers against Palm Beach back on August 6th. Both of them this season have hit double digit home runs for the first time in their Phillies minor league careers. Last night Tomscha went deep for the 10th time last night and Garcia hit his 13th long ball this season. Now in his fourth season in the Phillies system after being drafted in the 17th round in 2014, Tomscha turns 26 years old next week and Garcia, signed as a 16 year-old from Venezuela, will not turn 24 until January even though he has been in the Phillies organization since 2011. Look for both of them to get invites to the major league camp next spring. Wilson is eligible for the Rule 5 draft in December if not protected on the 40 man ML roster. Consider this: I can’t name another left handed hitting catcher/first baseman in baseball who has hit 13 long balls so far this season, is hitting over .400 so far in August, who has caught a two-hit shutout in the same month and will play only at baseball age 24 next season other than Wilson Garcia. This entry was posted in 2017, August and tagged Baseball Betsy, Baseball Ross, clearwater Threshers, DAmek Tomscha, Philadelphia Phillies, Reading Fightin Phils, Wilson Garcia. Bookmark the permalink.